Yeshurun had planned for a bigger ShabbatUK than ever, but it was even more popular than they expected, with the hired marquee having to be twice extended to accommodate all the punters. Young people made up almost a quarter of the 460 people who enjoyed a ruach-filled Friday Night dinner, while 200 people rocked up on Shabbat afternoon for novel, educational activity ‘The Trial’, plus desserts to round off the lunches that members had enjoyed in different local homes. The warmth displayed between generations and the palpable community spirit was reportedly unparalleled. 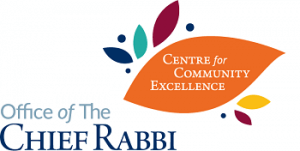 We feel that one of the positive outcomes from our Shabbat UK is the comraderie that comes from it – no one wants to miss out, volunteers to help come forward easily and many people are seen to attend Shabbat UK who are not regular attenders. We showed Shabbat can be a fun and exciting and not boring.